With temperatures dropping across the nation, we have some top tips for keeping warm until the ‘Beast from the East’ blows itself out. The freezing air coming from Russia has started to force temperatures down below average for this time of year, and they are set to go even lower. Currently, many areas have been hit by freezing temperatures, with a wind chill making it feel like -15°C in some places. - Homes should be heated to at least 18°C to ensure it is warm and comfortable. - Try to keep your bedroom at 18°C all night if you can, it is also recommended that windows are kept closed too. - Try to keep moving as this will promote good circulation. - Hot meals and drinks will help keep you warm. Having a hot drink before bed and keeping one in a flask by your bedside are good ideas too. - Wear thick socks to keep your feet warm, we recommend our thermal socks which are 60% Merino wool for extra warmth. - Wearing lots of thin layers, made from cotton, wool or fleecy fibres are particularly good and help to maintain body heat. 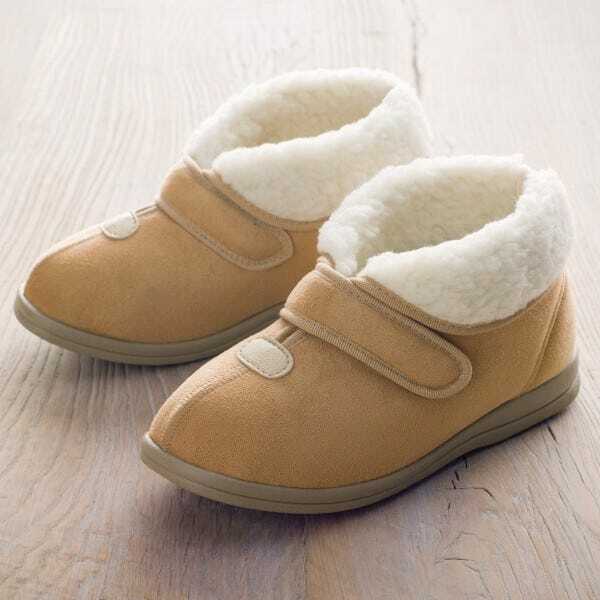 - Our warm-lined slippers will also help to keep feet warm and there are plenty of styles to choose from.